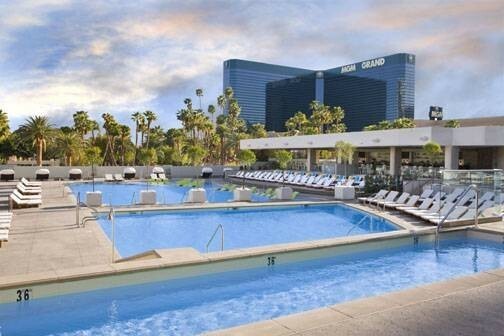 Wet Republic is located at the MGM Grand Hotel. 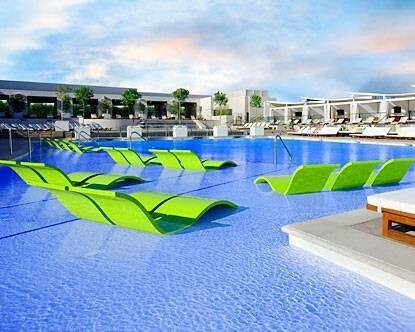 This 54,000 square foot venue features 2 saltwater pools, along with 8 individual pools and spas. Private bungalows, cabanas, and daybeds are available for those who desire bottle service. A separate lounge area with its own bar is also available for those who just wish to roam around and check out the scenery.